In today’s fast-paced world, it is normal to crave simplicity and serenity – and lots of it. The modern view of “simplifying life” focuses less on doing without (unless that is your preference) and more on slowing down, enjoying balance, and experiencing fulfillment. Here are five timeless lessons about simplicity from Albert Einstein – and how you can apply his genius to your own life, simplified. 1) Learn to say “no”. Einstein’s connection with the Jewish people was said to be the strongest bond in his life, yet when he was offered the presidency of Israel, he politely declined the invitation. [EINSTEIN-LIKE FIX] A lot of people say time management is getting more done in less time. Wrong emphasis! In reality, using time wisely is getting more – more of what is really important to you – done, and ignoring the rest. Only say “yes” to commitments that support your personal priorities and values, and say “no” to those commitments that don’t – even if it is as important as a presidency. [EINSTEIN-LIKE FIX] It’s true – if you always do what you have always done, you will always get what you always got. If you want to simplify and get organized, yet you keep doing the same things that hold your life in chaos, then your life will never change. Step out of your comfort zone and try something new, better, and different in the realm of simplicity – something that will stretch your idea of what is possible. Witnesses claim Einstein did not rely on memory to recall his phone number – he referenced a phone book instead. 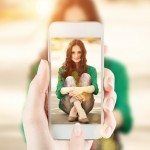 [EINSTEIN-LIKE FIX] With an estimated 60,000 to 80,000 thoughts a day, there is a lot of competition for attention inside your head. While your brain is an amazing organ, the odds are stacked against you that you will remember everything important. Find or create your own system to track essential information, even if it is as basic as using a phone book! It is believed that Einstein conceived the theory of relativity, not while holed up inside a high-tech laboratory, but rather while riding his bicycle. [EINSTEIN-LIKE FIX] Although it may seem counter-intuitive, our minds need an occasional rest in order to remain alert, productive, and creative. Schedule regular 20-minute breaks into your daily schedule, using your break time to truly disconnect from your work with fun activities to boost your energy and cognitive power like meditation, a water-cooler chat, or a short Einstein-approved bike ride. 5) Visualize what you want. Einstein’s greatest breakthroughs in science were born from Gedankenexperiment, or visual experiments carried out in his mind. [EINSTEIN-LIKE FIX] For many years, visualization techniques have been used in areas like health, athletics, education, business, the arts, and science to break boundaries, create positive change, and facilitate success – amongst others. Visualize your path to simplicity, envision reaching beyond the grasp of chaos and clutter, and take your simplify-life results to the next level. Betcha didn’t know that comedian Jerry Seinfeld, of all people, can help you out with your case (or cases) of the really-don’t-feel-like-it blues. He went on to explain that, in order to be a good comedian, he needed to write every single day. BUT sometimes he didn’t feel like it. So he would put a big red “X” on his calendar every time he sat down to write. 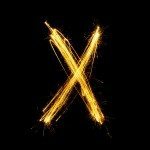 Day after day, he would make the “X’s” across the board until, eventually, he had a long chain. His ultimate goal was to not break that chain, and this idea was enough to motivate him to keep writing the many jokes and skits that have made us laugh throughout the years, even when the desire to do so wasn’t really there. I haven’t organized my files in months. To declutter, I will spend 90 minutes each Saturday morning organizing my file cabinet until it’s complete. I could finish this project in a week’s time, but I’ve been procrastinating on it for ages. To get this off my plate (finally!) and clear my mind, I will spend an hour every night this week until it’s d-o-n-e. I have so many people to email and call back! To be a better friend, I will make a list of these individuals, and contact one per day until every last person is checked off the list. I want to lose 10 pounds. To get healthy, I will exercise every Monday, Wednesday, and Friday until I reach my goal weight – then keep exercising every Monday, Wednesday, and Friday to maintain. I never take any time off. To get some much needed R&R, I’m going to plan one getaway each quarter, actually GO, and…enjoy! Want Bigger Results? Instead of picking just one area where you aren’t being your most organized and productive, pick ten areas to “chain” one at a time. As soon as you complete the first chain (area), roll right into the second, then third, and so on. Carmen Coker is a former US Air Force officer turned professional organizer. If you want to whiz through to-do′s quicker than ever before, she recommends (& uses!) 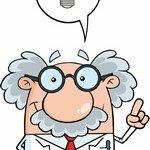 this FREE MP3 to boost productivity. Try it, and…get stuff done! If you could have a conversation with the late Steve Jobs, right here and now, and he offered you the key to productivity and success – would you listen to his advice? Why wouldn’t you?! Every era has their icon, and one could easily argue that Mr. Jobs was the king of the computer age, and beyond. His ideas revolutionized the world in which we live. Sadly, he was taken before his time, as many of the great ones are. But he was, in fact, generous enough to leave us with his productivity rule of thumb. So…listen up! Doing too much seems to be part of modern life. Every day offers new chances, friendships, challenges, and ideas. Indeed, the world is a creative, exciting – and busy – place to be. But are you letting these explorations, if you will, distract you from the most important thing? From making forward progress? From being truly great? The word “no” is the most powerful weapon in your productivity and time management armory. It’s simple, and it’s free – a true win-win. The problem is that many people find it difficult to say it for many reasons like: maybe you’ll seem rude, maybe the proposition feeds your ego (if you’re honest about it), maybe you feel pressure from others, maybe…the list goes on. 1 – Clearly define your vision and priorities. While this may seem like an oh-yeah fact, human beings often lack mindfulness about these very fundamentals when making decisions, and this can quickly cause a loss of focus. [Tip] It’s vital to separate your vision and priorities into primary, secondary, and tertiary levels, going from most important to least important. Keep a master list beside your desk, in your planner, or on your mobile for reference at any time. 2 – Use your vision and priorities to strictly screen all opportunities. In the busyness of life, sometimes the day-to-day overwhelms the big picture. [Tip] Review your vision and priorities daily to keep them top-of-mind, plus constantly utilize them to screen decisions, big or small, about what you purchase, how to use your time, what projects you allow, and more. Weigh each opportunity according to whether or not it supports your primary, secondary, and tertiary levels. If it doesn’t, then mark it off the list. 3 – Have your no-can-do response ready. Say “yes” to only those experiences that let your vision and priorities shine brightly. A highly productive person knows when and how to respectfully (and authentically) turn down anything that doesn’t sustain his/her values, goals, and dreams. So…how can you stop chasing distractions right now, and directly impact your ability to “get stuff done” and to get organized? I’d love to find out! Please share your thoughts, experiences, ideas, and other comments below. It’s hard to argue with Aristotle, one of the greatest scientists and philosophers the world has ever seen. It’s even harder to argue, given that his very name means “the best purpose.” Indeed, his advice encourages you to be the best that you can be. 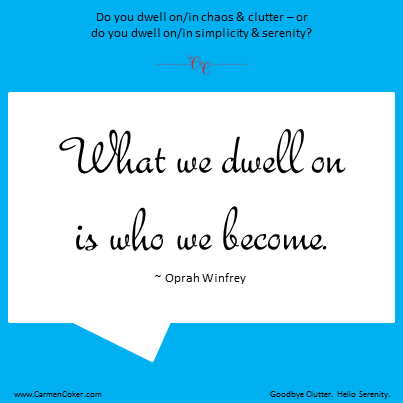 So…let me ask you: Is your life full of chaos and clutter, or order and serenity? Your answer reveals what you repeatedly do. 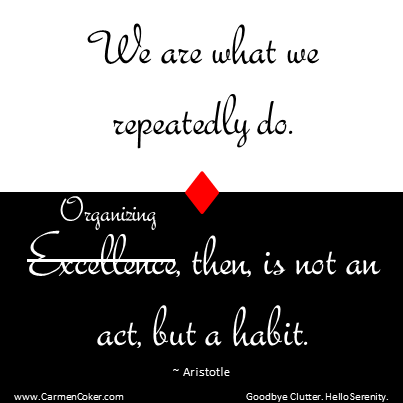 How will this inspiration from Aristotle help you get organized? I’d love to find out! Please share your thoughts, experiences, ideas, and other comments below. Thomas Jefferson: an American Founding Father, author of the Declaration of Independence, and the third President of the United States. Although it would be difficult for any mere mortal to compete with his resume, wouldn’t you like to know how President Jefferson accomplished so much? Even if you had just a fraction of his success secret, imagine how much more you could achieve each day, week, month, and year! The compound effect in all areas of your life and work would create out-of-this-world results – more fulfillment and meaning, more wealth, and more free time. Human beings have a strong mind-body connection, and as such, your thoughts channel real power to help you win – or fail – at the game of life. Consequently, when you are plagued by negative thoughts, you often produce negative results, and when you focus on positive energy and beliefs, you often produce positive outcomes. This effect touches every decision you make, whether it’s something small like how you answer an email or something large like how you plan and complete a project. Positive thinking doesn’t mean that you should assume an exaggerated Pollyanna mentality or ignore uncomfortable situations that may come your way. It simply means that you make conscious choices to face your realities in a more optimistic and productive manner. Visioning requires that, when thinking about outcomes, you set a positive intention. It’s crucial to make the visualization a total body experience, imagining each scenario with all five senses. Conditioning involves training your mind to focus on the good, better, best. Build up your think-positive muscles with Focus@Will, which uses neuroscience to boost your attention span up to 400%. Reframing permits you to view a particular situation through a different lens in order to create a new result. After all, you deserve a better story. Editing bleeps out the Debby Downers around you, whether that is a source (news alert), a person (co-worker), or a thing (desk clutter). Get a regular dose of Daily Good to balance your yin-yang energies. Meditating calms your mind and allows your body to relax. Too woo-woo for you? Consider this: The Seattle Seahawks leveraged daily mediation in their training into a Super Bowl win. Your thoughts set the tone for each project you do and decision you make. A highly productive person recognizes that thinking positively can be the difference between making things happen and making things halt. So…how can you change your attitude today, and directly impact your productivity and ability to “get stuff done”? I’d love to find out! Please share your thoughts, experiences, ideas, and other comments below. Click here to download and print off your motivational poster. You can be an encouragement to others – share this on Facebook or share this on Twitter with your family and friends! How can you apply these five lessons about simplicity from the life and legacy of Albert Einstein to your own life? Please let me know your thoughts, experiences, ideas, and other comments below. Having trouble finding extra minutes in your day? These simple things could be costing you precious time. Here’s how to stop ’em! 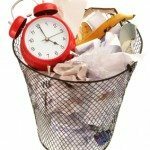 How could you (or do you) use these ideas to save time? Please let me know your thoughts, experiences, ideas, and other comments below. Have you ever been at home, and yet thinking of something that needs to be done at work? Or been at work, and yet thinking of something that needs to be done at home? No matter if you try to separate them, your personal life and work life are intrinsically linked. That is to say, if you feel unbalanced personally, then that feeling can bleed into your work life and leave you feeling unbalanced professionally – or vice versa. This is a fact that many articles with work-life balance tips fail to mention. When you are feeling unbalanced, in order to find relief, you must become aware of your clutter. But that’s just the problem! We tend to think of clutter as “stuff” in our space: piles of paper on the desk, clusters of toys on the rug, and mounds of mail on the kitchen counter. While this is true, there are other types of clutter that can creep into your life. Do you over-commit to people, organizations, or causes? Then you have something that clutters your schedule. Do you have someone in your life that bleeds your energy and patience, so much so that the very mention of their name causes you great stress? Then you have something that clutters your spirit. Do you look for a distraction, like a TV show, whenever you know you have work to be done? Then you have something that clutters your habit patterns. Clutter can permeate more than just your surroundings; clutter can permeate all or parts of you. In the same respect, organizing is more than managing your belongings. Organizing is managing you – all parts of you – so that you feel balanced and in control. So the next time you seem discombobulated … stressed … overwhelmed … chaotic … unbalanced … then examine the areas of your life – both at home and at work – that need to be de-cluttered. This will ultimately help you pinpoint the source of the problem so that you can find relief fast. 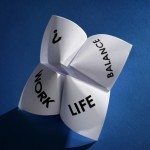 Where is the clutter in your life impacting your work-life balance? Please let me know your thoughts, experiences, ideas, and other comments below.